This month an interesting blind retasting of the Bordeaux 2005 vintage was organised by Decanter magazine. Jancis Robinson attended, and reported. I didn't read much about it on the internet - unless the fact that there were some real surprises - so I thought let's make a small posting about it. The big names did not stand out during this tasting. 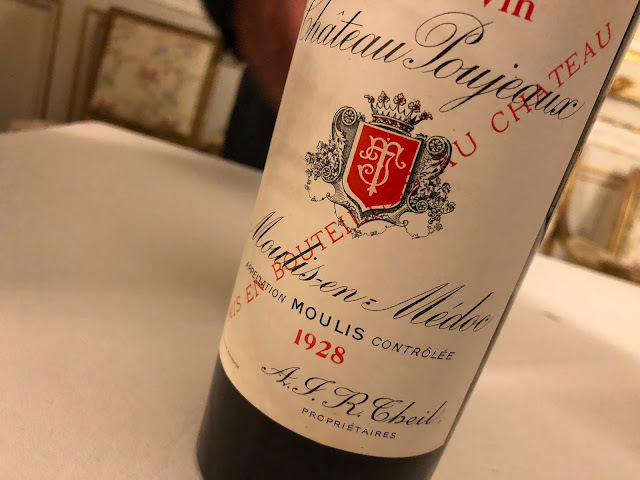 Where Cheval Blanc 2005 was Robinson's favourite right bank wine at the initial en primeur tasting (19.25/20), this icon was now granted only 15 points with two question marks... so maybe there was a problem with the bottle. But let's focus on the 'winners'. Three wines stood out by far. One well-known, Château Valandraud, Jean-Luc Thunevin's ultimate garage wine (18/20), and two rather unknown wines: Château Fonplégade (18/20) and Château La Fleur Morange (19/20!). A modern trio. The Valandraud story is well-known. Fonplégade has apparently improved after the American Steve Adams took over the château from Antoine Moueix, hired Michel Rolland and started working with 100% new oak. I have not tasted this wine myself, nor have I come across the third wine, Château La Fleur Morange. Not surprisingly: La Fleur Morange belongs to the group of very small garagiste properties, and it hasn't made its way yet to The Netherlands. Anyway, I will definitely look out for this wine the next time I visit Bordeaux. Just very curious now. Château La Fleur Morange is a tiny property of less than 1,5 hectares in the far South-East of the Saint-Emilion appellation, close to Côtes de Castillon. The vines have the very respectable average age of 90 years, and the vineyard is handled with "painstaking care", as the owners themselves, Véronique and Jean-François Julien, put it. La Fleur Morange ages for 18 months on 100% new oak. I was somewhat amused by the remark Jancis Robinson made after having tasted La Fleur Morange 2005 blind: "I think this may be Pavie but I still think it is very good wine!" Everyone will remember what Robinson said about Pavie 2003, calling it a "rediculous wine". And this month she tasted a wine she really loved, which... might have been Pavie... and is still very good, mm, it's quite difficult all together. Or maybe I'm missing something. Perhaps this will encourage people to try the other vintages - I enjoyed a 2001 with my Christmas lunch. Should you be visiting the UK and wish to taste La Fleur Morange please email me (nick.stephens@interestinwine.co.uk or nick.stephens@bordeaux-undiscovered.co.uk ) and I would be delighted to arrange it.